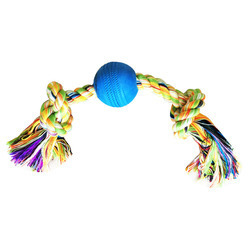 Fostered with a team of highly experienced professionals, we have been able to offer premium quality Ball Dog Chew Toy. - Height- 2 inch *Width-2 inch. Particles on the surface design can clean the pet's tooth. Super cute stick shape toy , light and nice look, your pets will love it. stick shape chew toy is made of natural rubber material. 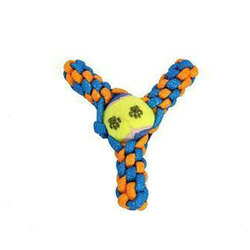 • Chewy Tubes are an innovative oral motor tool designed to develop biting and chewing skills. Chewy Tubes® were originally designed to be used with the Jaw Rehabilitation program. • Chewy Tubes® are made of FDA Approved thermo-elastic polymer. Enables a good Jaw Structure Aids in Dental Growth Flexible Scented when used regularly with puppies from the age of 05 months. 3. Perfect fun for large dogs. It can keep your pet engage for hours.